Given The Line Ups , Who Do You Think Will be Winning Tom? With those lineups, I've got to back Germany - although I went for Colombia in their last game, so I may well be wrong again! Germany v. Netherlands in the world cup final. Any takers on this one? Grettings Tom, and fellow BR'ers. How I've missed thee! Azeus, you're back now - that's the important thing for us all. Hammin Cheese - enjoy Michigan Stadium. That's an incredible venue. I'm seeing United against Roma in Denver, but that's not nearly as impressive as Michigan Stadium. It's the Big House for a reason. Brian, I think they want Goetze's fresh legs to be a game changer. Granted Ozil has not performed to his peak, but no one can deny the potential he brings to the game. Personally I would have taken him out earlier against Algeria for Klose. Although it was fascinating to read the Germans use of technology and the way they set up their base for this World Cup , I feel like they are overdoing it a bit? Less than one hour till kick-off! I can't see an all Euro final on South American soil. seeing Real Madrid vs Roma at the Cotton Bowl on my birthday! Boston, welcome once again! You make a good point that Tim Vickery also elaborated on - a team can't expect to come through clashes like that unscathed if they press from the off. Glad to see Löw stick with Lahm in the back. It worked well and it gives Germany a stronger back line without losing much if anything from the midfield. Talking of Real Madrid, Rest in Peace Alfredo Di Stéfano. I don't think the noise will bother the Germans because.. well... they are German. 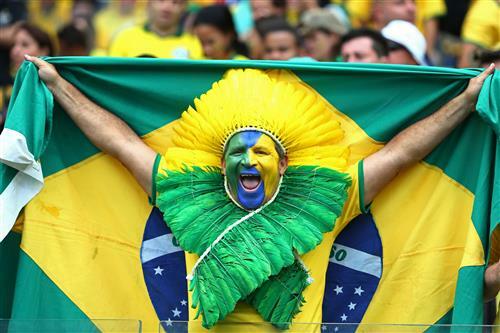 Difficult prediction: Germany will win by a 1-goal margin, Easy prediction: Fred won't score goals. pete, you will win GBR admiration forever more if you come up with a few Germany squad-related Beatles titles. Do we have another PK thriller today? Lahm vs Marcelo should be Interesting..
Tom, do you think this tournament emphatically marks the demise of the old-fashioned center forward as the focal point of a teams offense? Most teams have their best players playing in more of the false-9, and are doing quite well. Azeus, good call. Germany's system works extremely well, but I suppose it depends on how adaptable your players are. I still wouldn't rule out an old-fashioned centre-forward bullying a few defences in the future. Less than an hour to go now, and the excitement is building. 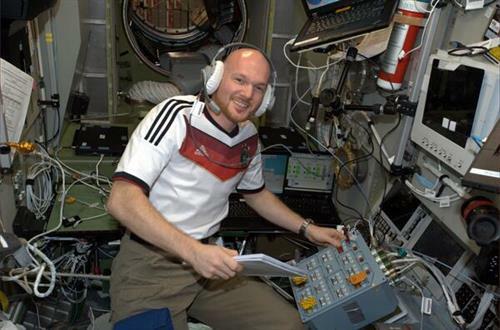 Considering astronaut Alexander Gerst is watching the game from space no less, where are the rest of you tuning in from?